It's been just over a year since sheriff's deputies discovered a stockpile of powerful explosives hidden inside an Escondido home. ESCONDIDO (CBS 8) - It's been just over a year since sheriff's deputies discovered a stockpile of powerful explosives hidden inside an Escondido home. The situation was so dangerous that authorities had no choice but to burn the house to the ground. 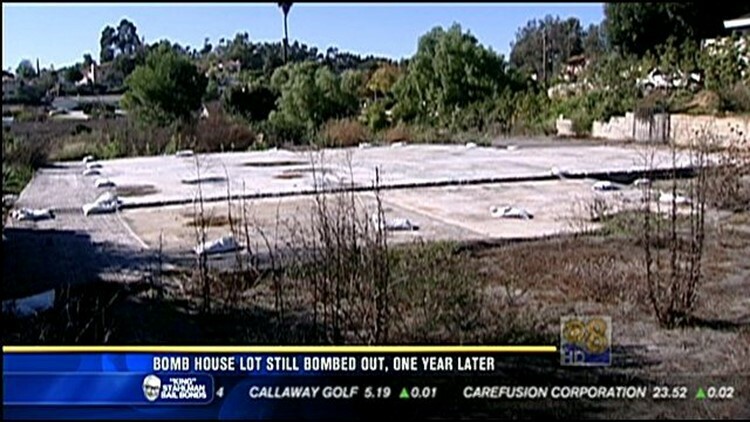 One year later, the lot is still empty, but neighbors say it's becoming an eyesore. In this News 8 video story, Jeff Zevely reports on how residents are just about fed up with the mess.